one of the best scenic spots on Oahu. 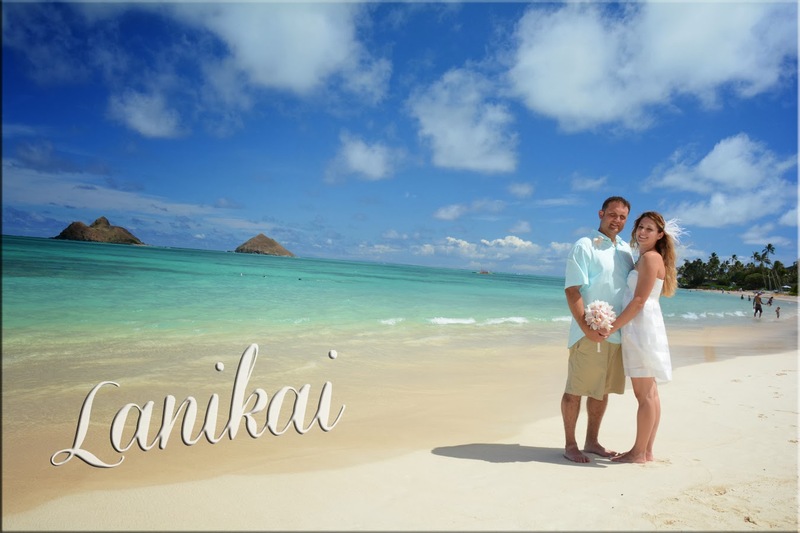 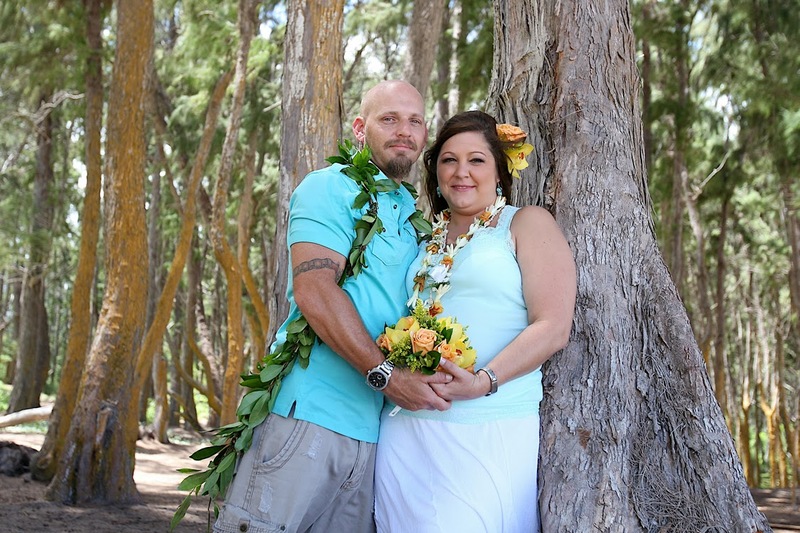 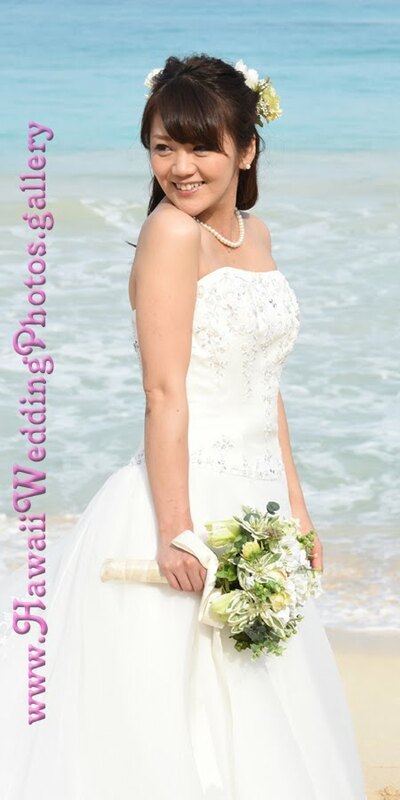 Leslie & Tracey get married at Waimanalo Beach on Windward Oahu. 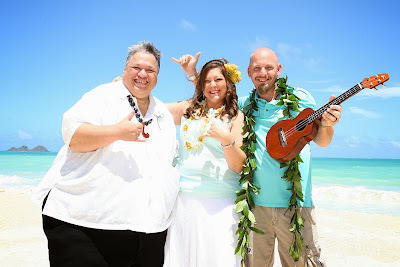 A pose with Ukulele Player Bernard is a must at your Hawaiian Wedding. The forest in Waimanalo has Australian pine trees (no coconut trees in this area).